The best "Sako-style" extractor on the market. 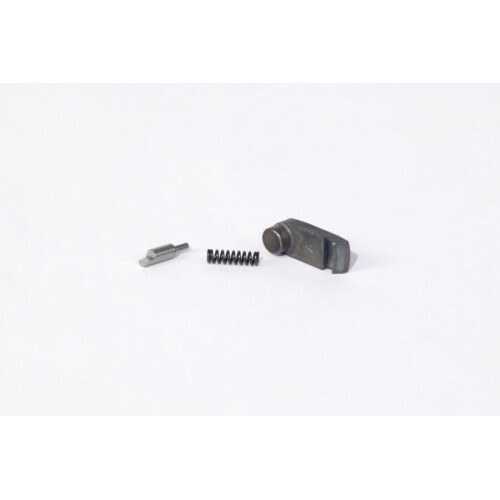 Superior Shooting Systems Inc. offers Tubb Precision Extractor Kits (extractor, plunger and spring) for installation into modified Remington bolt action rifles. These kits feature the highest quality precision-made "Sako-style" extractor and are available to fit a variety of bolt face diameters and cartridge applications. "B" model is for .404, Lazzeroni .284, and 7.21 Firehawk. All of the parts of Tubb Precision Extractors are carefully engineered and machined using correct materials to ensure consistency, performance, and durability. Tubb Precision Extractors are used to replace the Remington factory riveted extractors as well as the newer rivetless design. These extractors give a gunsmith not only a way to repair bolts but also to greatly improve extraction function. We believe that any Remington rifle intended for serious use should be fitted with one of these extractors. Whether a rifle is intended for competitive shooting or dangerous game hunting, extraction failures can be catastrophic! Installation of these parts is considered mandatory by most custom gunsmiths when building a custom Remington bolt action rifle. Five different models are available and all include plunger, spring, and detailed instructions for gunsmith installation.